Pretty Two Tier Wedding Cake with Ombre Coral colouring, gilded edible wafer paper peony and gold leaf flecked edging with rough textured ombre finish. 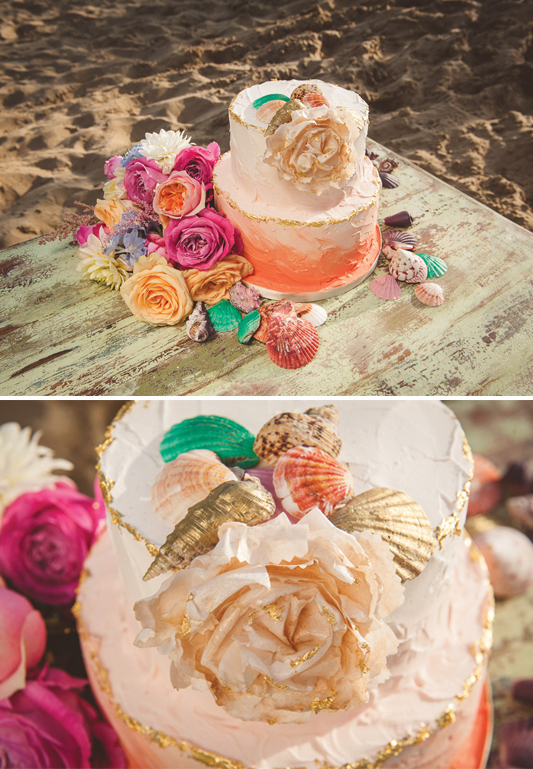 Cake created for styled shoot, photographed by Heline Bekker Photography. Cake serves 60 finger portions.